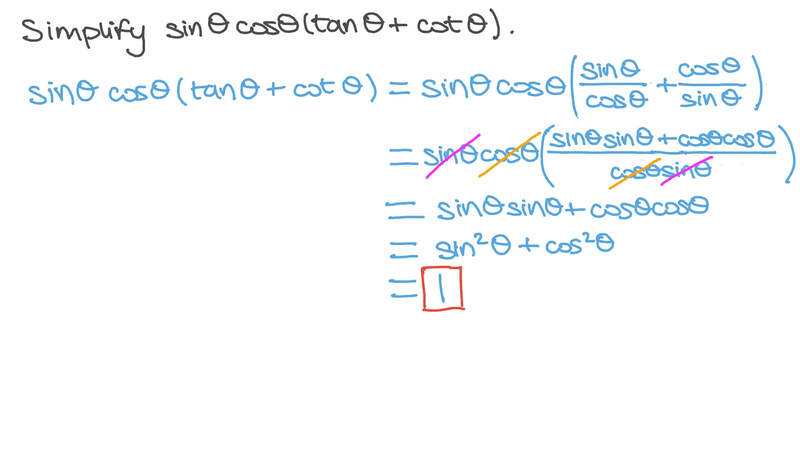 In this lesson, we will learn how to simplify and rewrite expressions of trigonometric functions using sine and cosine functions only. Simplify s i n c o s t a n c o t 𝜃 𝜃 ( 𝜃 + 𝜃 ) . 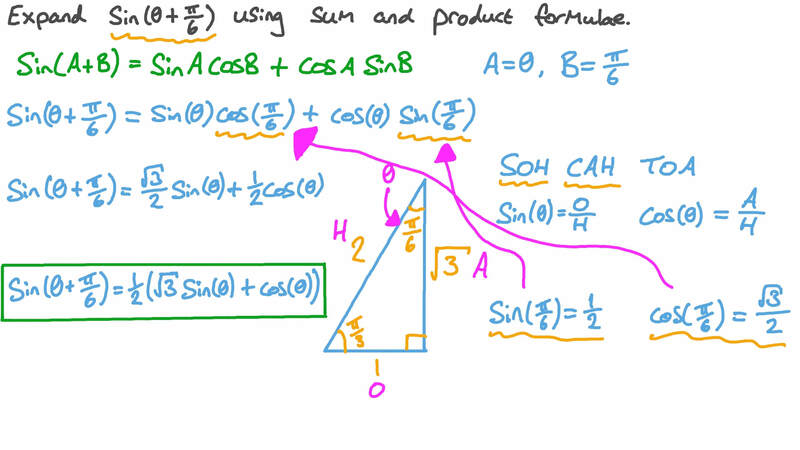 Expand s i n  𝜃 + 𝜋 6  using sum and difference formulas. 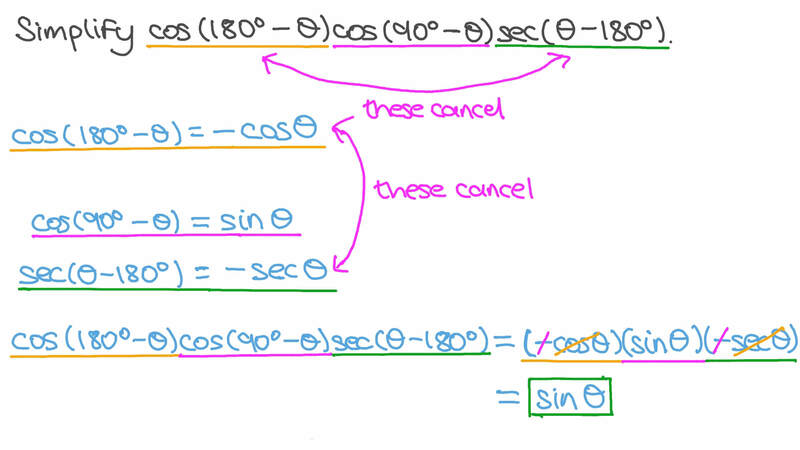 Simplify c o s c o s s e c ( 1 8 0 − 𝜃 ) ( 9 0 − 𝜃 ) ( 𝜃 − 1 8 0 ) ∘ ∘ ∘ . Simplify s i n ( 𝜃 − 9 0 ) ∘ . Simplify t a n c s c s i n 𝜃 𝜃 ( 9 0 − 𝜃 ) ∘ . Find the value of 1 − 1 2 8 s e c 2 ∘ . Simplify 5 𝑎 𝑎 c o s t a n 2 .